One of the pleasant surprises of traveling is that there are those sites and locations you plan to visit and enjoy, and then there are those spur of the moment plans that take you somewhere you never imagined. 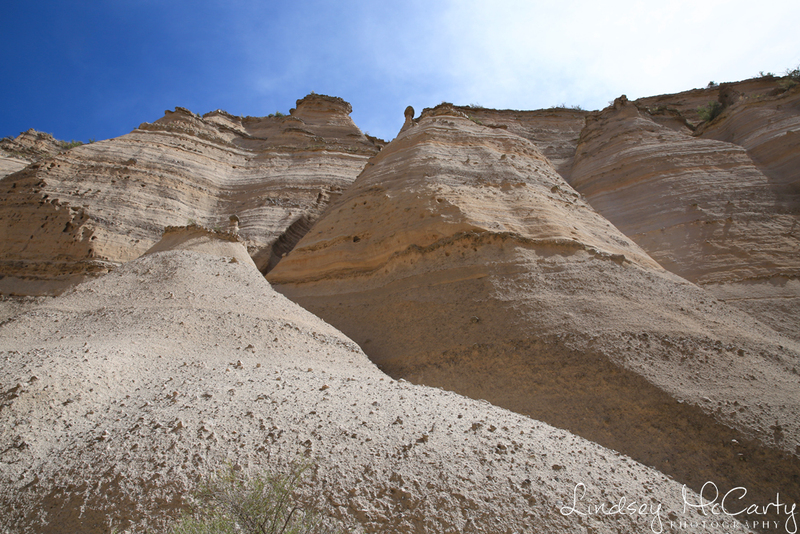 Just about an hour out of Albuquerque, NM, is Kasha-Katuwe Tent Rocks National Monument. The national monument was only established in 2001, so my guess is that's the main reason this place isn't more known or more photographed. 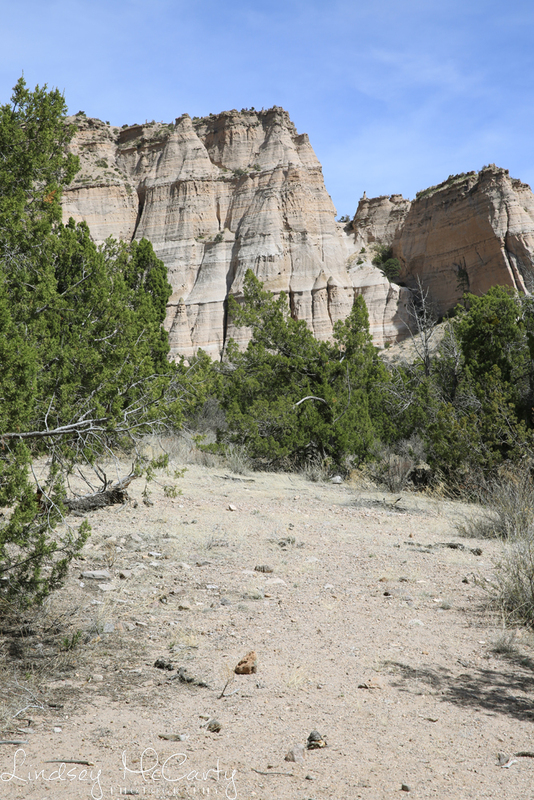 After a hike down through a canyon of swirling, undulating rock-face, the trail heads straight up the mountain. The 3-mile roundtrip hike up the mountain includes an elevation climb of over 800 feet, though honestly it was barely noticeable - either because of the beauty of the area or because I was watching where I put my feet on the rocky ground! I've never seen anything quite like this place, and I'd go back in a heartbeat. 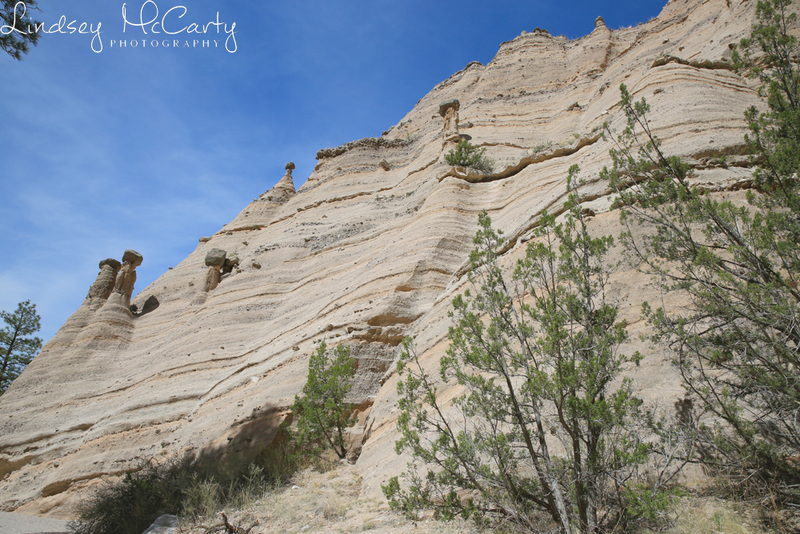 I'm going to split the photos up into two blogs, and you'll notice that the perspective shifts as I make my way up the climb and all of a sudden, you're looking back down on the tent rocks that before seemed tall and imposing!